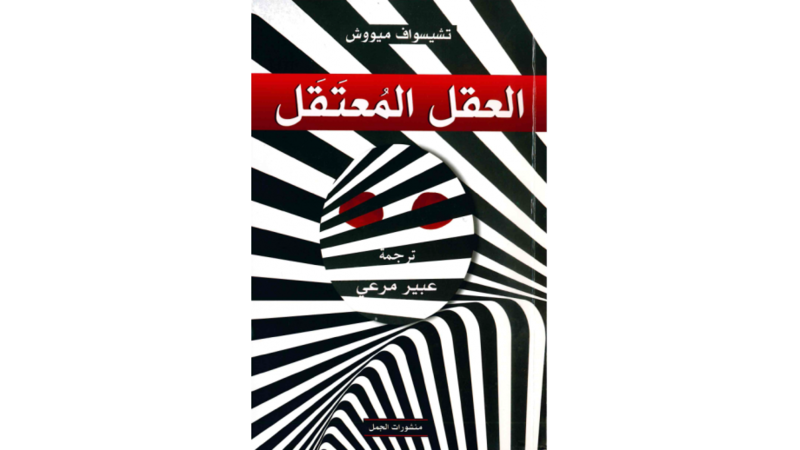 The Captive Mind translated by Abie Mara'i was published by Al-Kamel Verlag publishing house. The Captive Mind is a collection of 9 essays by Czesław Miłosz written in 1951 and published two years later by the Literary Institute (a Polish publishing house in exile) in Paris as Volume 3 of the Library of Kultura (“Culture” - a Polish-émigré literary-political magazine.) Czesław Miłosz's work is not only an excellent dissertation in the field of political science and research on communism; it is a literary treatise or a peculiar novel with a key, containing a timeless reflection on the human condition, ethics, freedom, and enslavement, yet stemming from the specific and thus credible experience of both a witness and participant. By means of parables and allegories, this work with Kafka-Orwellian origins presents an analysis of the process of intellectual dependence of the Eastern European intelligentsia on the political and economic rules of the communist doctrine. Karl Jaspers described The Captive Mind as an excellent study of "splitting man into two persons" under the influence of enormous ideological pressure. In recent years, the Book Institute has also co-financed a number of other translations of Czesław Miłosz's books. Thanks to the support of the ©POLAND Translation Programme, in 2018 Dolina Issy (“The Issa Valley”) appeared in Ukrainian (translated by Natalia Sidjachenko), Historia literatury polskiej (“The History of Polish Literature”) in Romanian (translated by Constantin Geambaşu), Zniewolony umysł (“The Captive Mind”) in Azerbaijani (translated by Gülɘra Abdullabɘjowa), Rok myśliwego (“A Year of the Hunter”) in Estonian (translated by Hendrik Lindepuu), and Ziemia Ulro (“The Land of Ulro”) was brought closer to Croatian readers by Adrian Cvitanović.